A NUMBER of legendary names hung up their boots this season, so who would make an XV of the best players to retire this year? 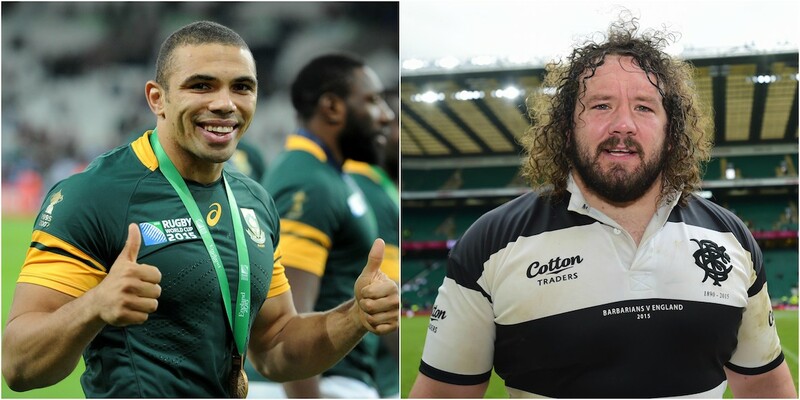 Brilliant players such as Adam Jones, Donncha O’Callaghan and Bryan Habana have all now decided to call time on their glittering careers. There are also a few superstars who played starring roles in the successes for both club and country who have taken to the pitch for the final time as professionals. England’s longest-serving women’s Test player announced her retirement from international rugby with immediate effect this week. The 33-year-old was an instrumental part of the Red Roses’ 2014 Rugby World Cup-winning squad, scoring in the final against Canada. Bowe announced his retirement from rugby at the end of this season in a poem. The 69-times capped Ireland winger took to Twitter and said that he would be bringing an end to his playing career shortly. The 37-year-old – who has scored 33 tries in 90 European appearances – will retire after 19 years at Clermont, captaining them to a 22-16 victory over Bath Rugby in the 2007 Challenge Cup final at Twickenham Stoop. Former Wallabies centre and Super Rugby-winning Waratah Rob Horne was forced to retire after suffering nerve damage to his arm in a game in the UK Premiership. A statement from Horne’s club, Northampton Saints, said the 34-Test Australian had sustained “career-ending nerve damage to his right arm” and had made the decision to retire from rugby after consulting with neurologists in England. Decided to hang up his boots following a number of injuries. Habana ends his international career with 124 caps for South Africa, having played at the 2007, 2011, and 2015 Rugby World Cup tournaments. He is the second-highest try-scorer in international rugby, with 67 tries.